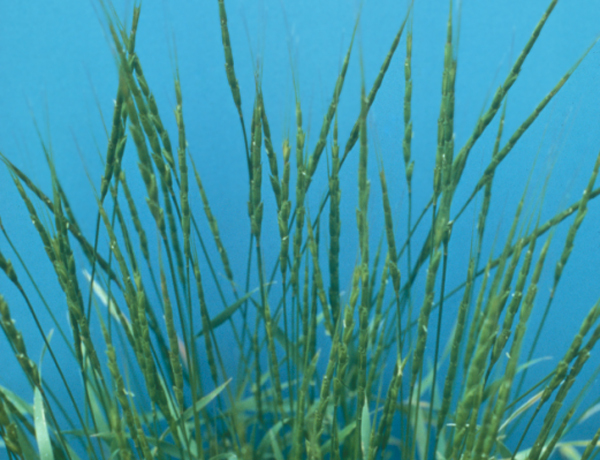 General Description: Jointed goatgrass is a winter annual grass vegetatively similar to wheat in the seedling stage. Plants have upright stems that branch at the base, growing to around 2.5 feet tall. Flower Description: It has a narrow, non-spreading spike of flowers with the appearance of a series of joints being stacked upon top of each other. Each joint has 2 to 6 small flowers. Leaf Description: Leaves are alternately arranged with long hairs on margins and sheaths. Leaf blades are flat and 1/8 to 1/4 inch wide. Stem Description: Hollow stems grow to around 2.5 feet tall and are tipped with slender, cylindrical seed heads. Fruit/Seed Description: Seed heads (spikes) are cylindric and narrow that break apart to spread seed during the summer months. Jointed goatgrass is a troublesome winter annual in winter wheat-fallow production areas. It can hybridize with winter wheat and reduce wheat crop yields.